isit Miami, and enjoy a potpourri of cultures, lifestyles, and architecture. On this tour you will discover the beautiful side of this fashionable and exciting international hot spot from the comfort of an air-conditioned van while a professional tour guide explains to you all the different sights. Join us and discover Miami, the “Magic City”. Our tour will take you to the heart of the Art Deco District. 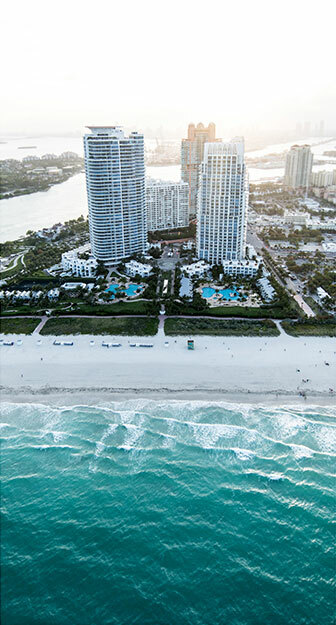 The pastel colored buildings of the American Riviera will bring back the atmosphere of the fabulous golden age of Miami Beach. While crossing the water of Biscayne Bay you will admire the artificial and exclusive islands, dotted with luxury waterfront mansions. The causeway will take you to Downtown for a brief but intense visit of Brickell Avenue, the economic gateway of Latin America. The next stop is the lavish vegetation of Coconut Grove, the retreat of the rich and famous: Madonna, Stal- lone and many others have selected this peaceful waterfront side of Miami as their residence. This is just a prelude before “City Beautiful” better known as Coral Gables: Inspired from a Mediterranean town with homes build from local coral stones. The old quarry is now home of the picturesque site of the Venetian Pool. Last but not least the folklore of Little Havana for the illusion of going in Latin America without showing a passport.